Back in the early days of Jazz, the 1920’s, 30’s, and 40’s, a goodly portion of Jazz music was danced to in nightclubs, ballrooms at social functions, and even in the streets. After the 40’s, when Rock, R&B, and other genres entered the music scene, dancers began migrating towards these new, exciting, beats, and sounds. What I’ve done is selected some, simple, well known, Jazz and Pop tunes, and turned them into jazzy, contemporary dance music by mixing popular beats, electronic sounds and styles borrowed from EDM, R&B, Latin, and Funk, with Jazz. 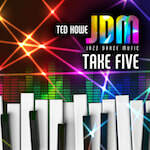 The result, JDM, Jazz Dance Music. As this music cannot be 100% categorized into any of the aformentioned genres, or others, I’ve created my own for it, JDM. Enjoy dancing, or if you prefer, the listen! Composed by Daniel Flores in 1958, Tequila is a Latin flavored rock and roll instrumental recorded by The Champs which made it to #1 on both the pop and R&B charts. It is still strongly referenced in pop culture today. 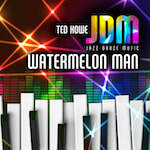 ​It has been covered by jazz artists Dizzy Gillespie, Wes Montgomery, and Perez Prado. Note: Release date is 5/3/2019. Pre-Order Links from the logos below will become available in the near future. We are very excited to announce many JDM, "Jazz Dance Music" singles will be released in 2019 and 2020. More info on some of these songs can be found below. In the near future, sound clips, pre-orders and more will be announced ON THIS PAGE. For now, you can read more about the tunes that have been recorded below. Sign on up on our mailing list to be notified when we have an announcement concerning the release of these singles.